You probably already realize that fertilizer is an important part of growing a productive garden. Food plots are just like your back yard garden except you are growing food for the deer not yourself. So different plants are grown but the need for fertilizer remains the same. The need for fertilizer in a garder is basic knowledge that we all consider just common sense, however quite a few of us fail to recognize PH of the soil as another factor that is just as important if not MORE important that fertilizer. Before we get into what to do about your soils pH it is important to understand exactly what pH is! pH is a measure of how acidic or alkaline your soil is. Just like we use feet, meters or miles to measure distance we use the pH scale to classify the soils pH. This pH scale ranges from 0 to 14. The lower the number the more acidic, the higher the number the more basic with a pH of 7 being Neutral. The pH value reflects the relative number of hydrogen ions (H+) in the soil solution. The more hydrogen ions present, compared to the hydroxyl ions (OH-), the more acidic the solution will be and the lower the pH value. If you will notice the hydroxyl ion and the hydrogen ion combined will give you H2O, are water. So pure water has a pH of an even 7! Once things are added this balance of ions will shift one way or the other to make the water acidic or basic. Note: the scale is logrithmic meaning that a soil with ph of 5.0 is 10 times more acidic than a soil of 6.0 and a 100 times more acidic than a soil o 7.0! VERY important. pH is more important than fertilizer and here is why. As you know some soils are more fertile than others (more nutrients available). To make our gardens more productive we increase the amount of available nutrients by adding fertilizer. But what if I told you all of that expensive fertilizer (nutrients) that you dumped on your food plot would not be available to your plants!!! That is what can happen if you pH is low. Why? How does pH affect the availabilty. Well it gets a bit scientific so lets simplify it a bit. The nutrients of a soil are bound up against the individual soil particles. The more acidic the soil the tighter they are bound (as if by a magnet) and hence the less available they are to the plants. So now you can see why pH is so important. What is the pH of my soil and why? You may be inclined to think that your soils has a good pH just by chance and that you don't need to worry about pH. Well that fact is that with the exception of a few isolated areas in the USA almost all soils are lower in pH than what is needed by most plants to be very productive. Don't forget healthier plants will be attractive to deer as well as healthier for them. You don't want you food plot to be on par with the surrounding vegetation you want it to exceed that to encourage food plot utilization. Here is why soils are low in pH almost across the board. One cause has to do with insect and the decay of vegetable matter by microorganisms. This activity over time will increase the acidity of the soil. This causes a big time affect on forest soils. So if you food plots are on soil that was once forest then that will negatively affect pH. Another cause is the removal of the crops by deer are by normal harvesting of agricultural crops. And did you realize that many fertilizers with a high first number such as Ammonia Nitrate can actually INCREASE the acidity of your soil. Sure that Ammonia Nitrate give a quick burst of growth but the long term affects if not countered are more acidic soils. Even rain or irrigation causes leaching (removing) of minerals which causes an increase in acidity. Interesting fact. You know how you think the grass doesn't grow under your trees very well because you think the tree is taking up all the water??? Well just put some lime under those trees and you will be amazed at how well that grass will grow under a tree after the soil is brought back up to a more tolerable level. You see it is the insect and the decay of the leaves that drop the pH under your trees which is the real culprit! What pH am I looking for? So now that you know that low pH soils are bad you will want to get the soil pH as high as possible to unleash all those nutrients to the plants right. Well sort of although it is fairly uncommon soil can be to high in pH also. Here is why. Bacteria LOVE high pH conditions. If the soil pH gets to high then the bacteria will have a population explosion and they will use up organic matter at a very high rate and can actually deplete the balance needed for plants to grow. To high a pH and micro nutrients will become unavailable. Micro nutrients affected by pH include iron (Fe), manganese (Mn), zinc (Zn) and copper (Cu). Remember you can easily increase soil pH by adding lime but if you were to add to much that is something that is not as easily undone. The optimum range is 6.0 to 7.5! Since adjusting your soils pH cost money and since your soil likely has a naturally low pH you will want to bring the pH up to about 6.0 to 6.5 range. How do I correct my soils pH? Although there are a million things you can add to the soil to adjust its pH there are probably only two that you will consider and both involve lime. Lime is basically calcium and it will raise the pH of your soil. Lime is commonly bought in two forms, pelletized lime and powdered lime also know as agricultural lime. Powdered lime is by far the cheapest and is applied by a truck that the company you buy it from uses to apply it to your food plot. The other form is pelletized lime and it is sold in 50 pound bags and is available at your local hardware store. So access and size of the food plot will likely determine which method you choose. How much lime do I add? Here is where things can get complicated if you let them. pH alone doesn't tell you how much lime you need to add. To get true figures you will need to get a soil sample tested. What your soil is made of and how much sand vs. clay is present will alter the amount of lime that is required to raise the pH of a given soil as well as how frequently it will need to be reapplied. Typically new food plots will initially require 1, 2 or often more tons of lime per acre to bring the pH up into the desired range. After that smaller amounts of lime can be mixed in with fertilizer to maintain the desired pH. Most colleges with an agricultural dept will perform a soil analysis for less then 20 dollars. These reports will tell you how much lime and fertilizer your soil needs. 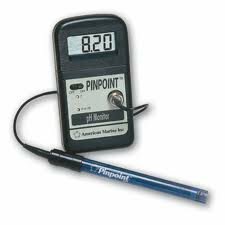 Are you can purchase your own pH meter and test your soils yourself. Just remember that you can always add more later. So you can fargo the soil test if you will take samples test the pH. Add some lime then retest after the soil has had a couple of months to incorporate the lime. Do this until you get a grasp of how much your lime applications are affecting the soils pH. Remember it is best, even when you have the lab recommended amounts in hand, to apply half of the recommended amount then retest to make sure you don't over do it. Then go back and add more until you bring the pH up to the desired level. Below are some little gems fyi! A clay soil that measures pH 5.5 needs 24 oz of lime a sq yard to reach pH 6.5! Clay soils require more lime initially but less lime to keep it there. Dolomitic Limestone is slower acting then other forms of lime. Lime doesn't travel around your food plot so even application is important. Pelletized lime is finely ground lime to which a cementing agent has been added to form pellets. Pelletized lime is more expensive but is easier to spread than agricultural / powdered lime. Lime pellets dissolve with a soaking rain or irrigation.